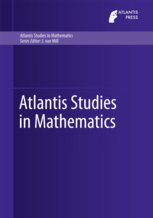 This book series aims to publish monographs of high quality in all areas of mathematics. Both research monographs and books of an expository nature are welcome. This series is the continuation of the series 'Mathematics Studies' which was previously published by Elsevier. All books published after November 2010 are promoted, distributed and sold by Springer, both as e-books and in print. The books are also available on SpringerLink and included in the relevant Springer subject collections. All book proposals submitted to this series will be reviewed by the Series Editor. Once the manuscript has been completed, it will be entirely reviewed by one dedicated Editor or by an expert referee. Only after this review the book will be published.